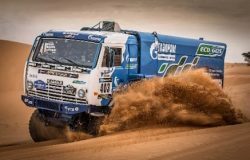 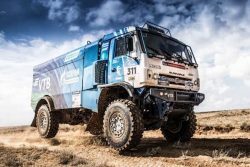 The international Africa Eco Race 2015 rally, in which a natural gas-fueled sports truck on the KAMAZ-Master team took part, finished in Senegal yesterday. 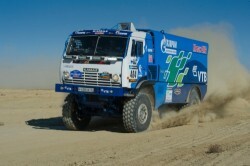 Following the results of 12 stages, the gas-fueled KAMAZ driven by Sergey Kupriyanov made it to the top three in the overall standing of the race. 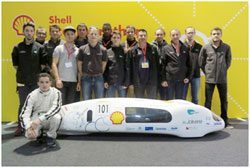 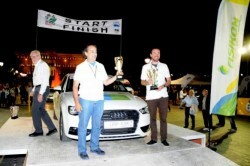 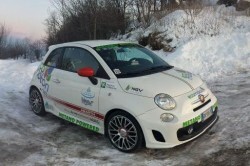 Audi A3 g-tron takes out first place in 8th EKO Mobility Rally for fuel economy. 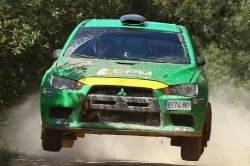 EPM’s Mitsubishi flies above Vidreres gravel.